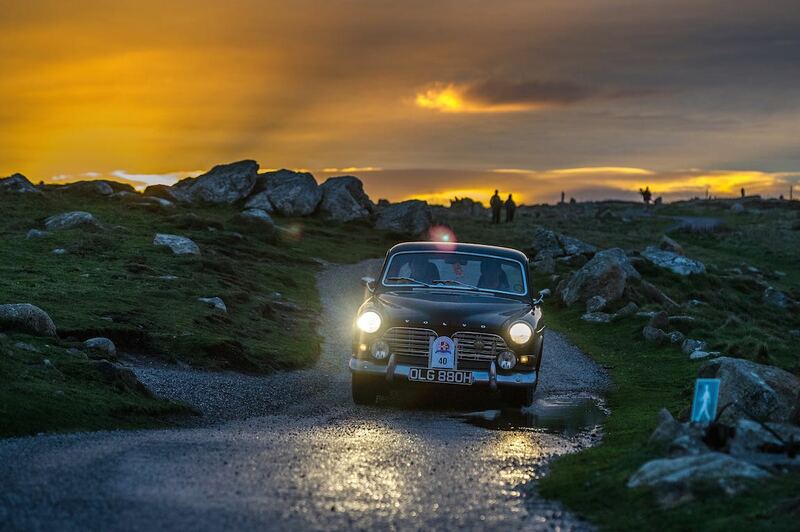 The 20th running of the Land’s End to John O’Groats Classic Reliability Trial and Tour (Le Jog) was staged 6-9 December 2014 in the United Kingdom. 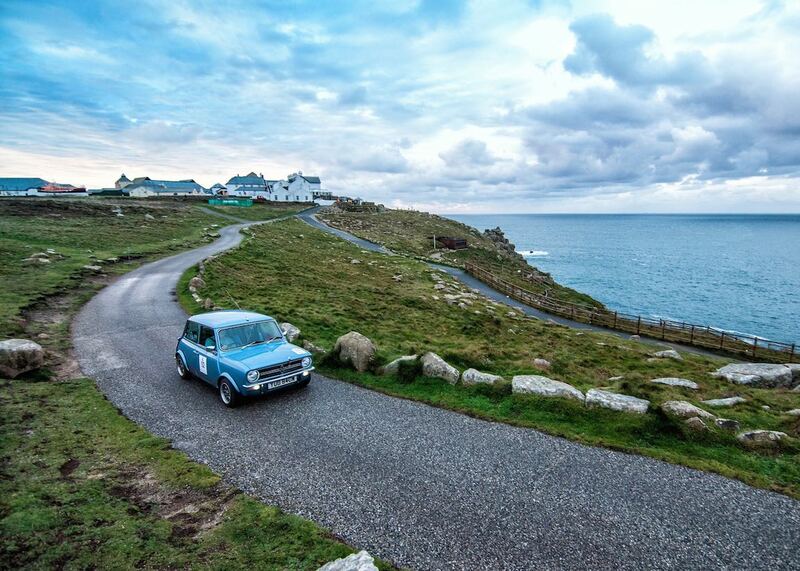 Starting in Land’s End, the most westerly point of mainland England, the 4-day Le Jog rally open to cars built before 1986 ended in John O’Groats, the northeastern tip of Scotland. 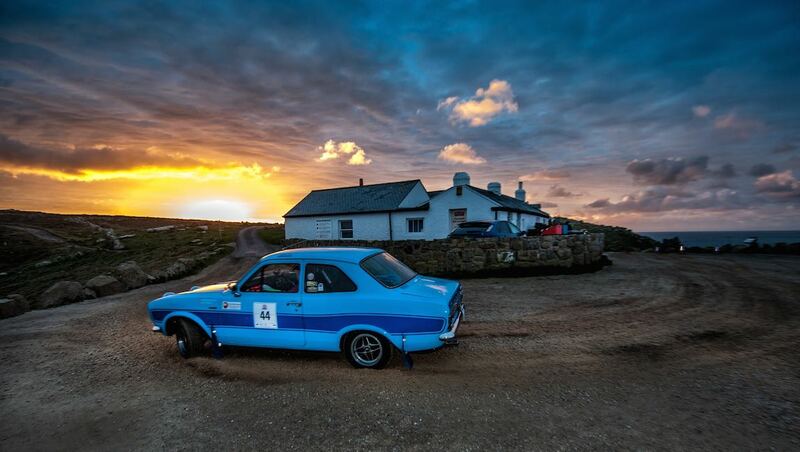 The Historic Endurance Rallying Organisation (HERO) event known as the toughest classic reliability trial in Europe didn’t disappoint in 2014, as the 20th anniversary included features and locations that have become part of Le Jog folklore. 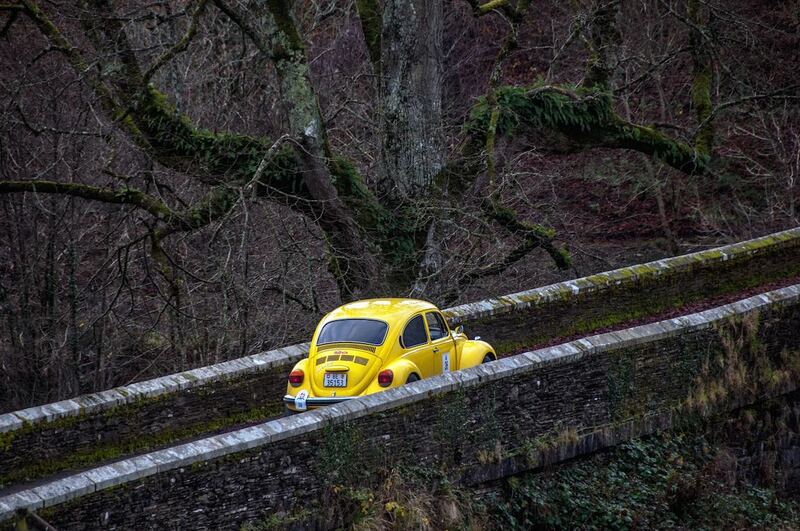 The final day of Le Jog Rally 2014 saw participants leave Kyle of Lochalsh for its final scheduled 12 hours. 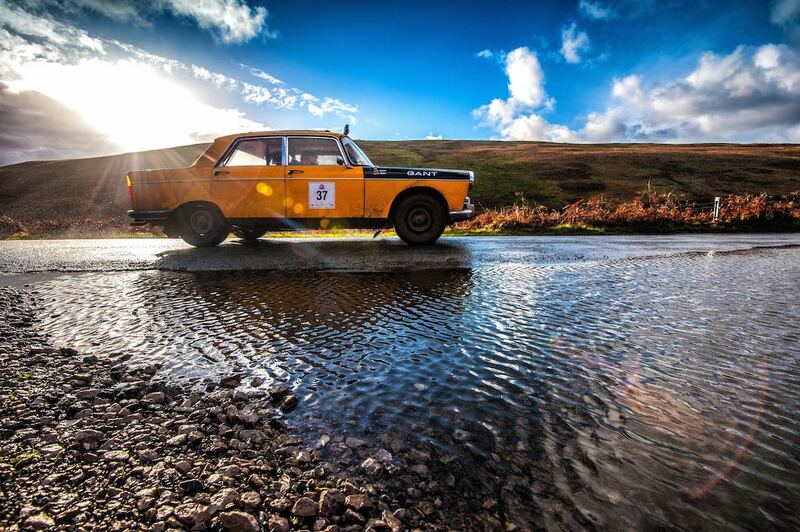 In those hours the crews would travel no less than 327 miles to reach John O’Groats over some of the most testing and isolated roads in Europe. This is where the event could really be won or lost. Scotland’s answer to the Stelvio beckoned, a trip over Bealach Na Ba, or Pass of the Cattle, the highest pass in the UK, a place where the wind is never still and the hairpins are difficult to tackle even in the summer. Four timing points would test the crews, before a descent down on what has been described as one of the most beautiful roads in Europe, again, in absolute darkness into Applecross Village. The road from there cling to the side of a sheer cliff at points, a meager strip of land separating competitors from the sea as they made their way onward toward Loch Torridon. Shieldaig was familiar to some crews from the 2013 running, the timing points shifted into cunning places to catch those who were starting to feel the effects of this mammoth route. Passing out of Loch Torridon, the A896 gave some respite after the narrow and twisty lanes of the previous regularity. However, even though they are classed as an A road, the tight nature and topography of these roads meant not a second to relax-these were really demanding roads in daylight, never mind coming up past midnight. Passing by Loch Luichart and heading almost into Strathpeffer on the east side of Scotland, Le Jog Rally 2014 turned north-west and headed up to Ullapool via Tarvie Services where a final chip collection before John O’ Groats took place. The fast open roads of the A 835 were a welcome break as crews entered Ullapool and Lochbroom Garage Services, the owners not only staying up just to welcome the crews and provide sandwiches and drinks, but also offered the welcome use of their extensive repair facilities, should they be needed. Two regularities followed, both being used in 2013, these were now into the small hours and formed the narrowest and twistiest part of the entire route. The second section had over 13 steep section arrows in 4 miles, at 4:00 am these would be a challenge to any crew. A short circular loop in Sutherland to the east of Handa Island brought the weary crews into Durness, the most north-westerly town in the United Kingdom, crews were still 8 hours away from John O Groats. A series of route checks kept the crews on the go over Kyle of Tongue before the penultimate regularity of the event at Skerray. With just five timing points, the nature of the road meaning taking time from competitors was relatively simple, one of the few loops on the event, it meant those close to their time could cut a section out, albeit being heavily penalised. After fuel in Thurso, the final section of a truly epic Le Jog Rally 2014 was in sight, the last action a 17.59 mile regularity on some uncannily straight roads that took the event past one of the most northerly water features (Loch of Mey) and literally past the front door of the Castle of Mey, once northern Scottish home to Her Majesty Queen Elizabeth, Queen Mother and now a place of an annual visit from Prince Charles. Not allowing crews a second of respite, the final sting in the tail was a loop around private property at the end of the regularity, it was this feature that decided the Gold Medal. From here a final timing point at Gills, leaving the emotional and exhausted crews to make the four mile run to John O’Groats, where they were greeted with the traditional piped welcome in gale force winds and horizontal rain at times. 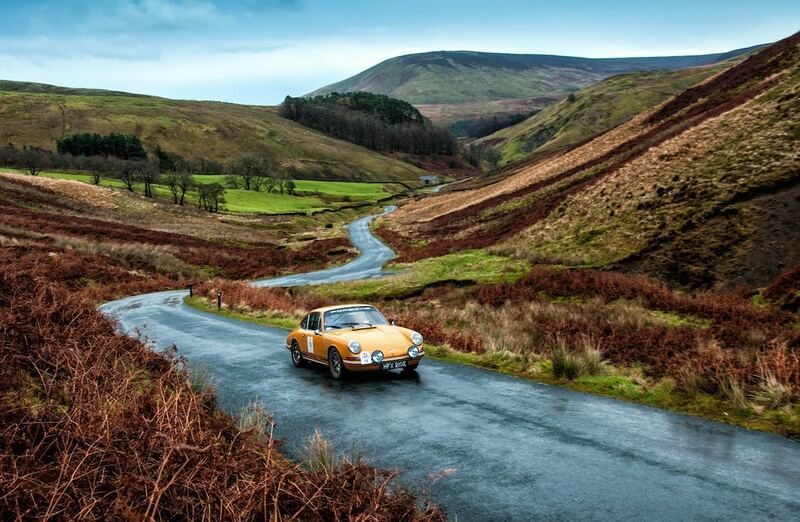 In a final twist to an epic Le Jog Rally 2014, first time navigators claimed the Gold Medals. Tomas de Vargas Machuca and Leigh Powley — driving a 1970 Porsche 911S — ended a superb year for Powley, the tears of joy as he was greeted by father Roger at John O’Groats, a true joy to see. Mark Godfrey and Martyn Taylor’s 1965 MG B took the second Gold Medal rounding off a year that has seen a hat trick of wins for both Godfrey and Taylor. The final Gold Medal went to Karsten Weber and Thomas Koerner in the Team Rocket Science 1976 BMW 320. This is the stuff of dreams.. Places I’d like to see car I’d love to drive. These are photos are the most atmospheric and beautifully realized I have ever seen. I’ve never seen the spirit of driving an open road captured so powerfully. Hi Paul – Hard to disagree. These beautiful images were from Francesco and Roberta Rastrelli. At the very least, we always list the source at the end of each article. Fantastic photo’s, capturing both the fun of the event and the stunning landscape !!!!. Wonderful and incredible pictures! I love them! Please more! Awesome photo’s . Makes you want to hop and and drive . Amazing scenery! You have captured the essence of this race with some stunning photos! I believe that the stunning photos were shot by Francesco Rastrelli … brilliant! Hi Bob. We’d love to see you over here, we have a hire fleet that can be used on the event, drop us a mail enquiries@heroevents.eu and we’d be happy to assist you with figures. Thanks everybody for appreciating our photos (yes, we are Francesco Rastrelli & Roberta Roccati) and to Hero for the amazing rallies that they arrange!! We just try to do our best with a lot of passion! You can see more photos on Hero website (www.heroevents.eu and http://www.heropictures.eu) and on our Blue Passion Photo page on Facebook (the website http://www.francescorastrelli.com is not often updated). The EMW looks like my neighbors car with the same colors. His name is Henry Grady, Stuart Fl.